So, i’ve moved to a new place, and all the existing lighting were of the fluorescent type. Granted, they were installed more than 7 years ago, and back then, LED was expensive. The fluorescent tubes were unbearably dim, and some don’t even light up. Depressing. Replacing all of them with LED light was top priority when it comes to the makeover of this new place. Obviously, i was going to buy all the LED lighting from Taobao, like i did before. Even though there are many brick and mortar shops here selling LED lighting that are also sourced from Taobao, with similar pricing as compared to Taobao, my preference is still to buy directly from Taobao. Not many people will agree with my choice. I know where they come from – if the goods are similarly priced, why not enjoy better assurance from the local sellers. If something goes wrong, the local sellers will be able to fix the problem quickly, whereas buying from Taobao means a lot of hassle if something goes wrong. Well, here’s my reasoning. In order for the local sellers to make money, they have to source for lower cost products so they can remain competitive. Yes, they get bulk discount from the manufacturer or supplier, but would the discount be enough for them to be profitable while selling at a similar price as compared to the pricing on Taobao? Very unlikely. Something has to give, and i reckon it is the quality, among other things. The typical consumer probably doesn’t bother to find out what kind of chip is used in the LED lighting, e.g. whether it is the latest technology, or whether it is imported from Taiwan or Korea. Neither does the local seller bother you with such details, since they know the consumer typically don’t even know how to ask. However, if you bought from Taobao, the seller keeps you informed on these details. The seller does this to differentiate their products from their competitors’. The products sold by local sellers probably work fine (otherwise their business will fail), but by buying from Taobao (probably the most competitive e-commerce platform in the world), i am buying the leading brands and products, from the leading LED lighting manufacturers in the world. So, from among the thousands of stores selling LED lighting on Taobao, how does one identify the leading brands and products? Here’s my strategy. The more you pay, the more likely you will get better products. Taobao sellers can’t get away with asking for more money without offering better quality products. When you sort the search result by sales volume, the products with the highest sales volume aren’t always the lowest priced – quality is deemed more important. Going by this strategy, i bought some of the most expensive downlight on Taobao. These aren’t the highest sales volume ones, because not everyone can stomach the price. They turned out to be truly outstanding – they cast the prettiest light. I highly recommend this seller – GELED. They also sell IP65 waterproof downlight (i don’t recall seeing any other seller offering this), which would suit the bathroom just fine. Anyway, within 4 months of installing new lighting, i encountered the first casualty. It was a cheap downlight, costing only 11.60 Yuan or S$2.40. In comparison, the GELED ones are 90 Yuan and above. Anyway, the colour rendered by this cheaper LED looks more artificial (i.e. low CRI, see below). Overall, i am still satisfied with the quality of this cheaper LED downlight, but this incidence does show that cheap equals inferior. The LED driver that blew up, and the replacement they sent. Most of the LED lighting sold on Taobao are by Chinese brands, but there are also a handful of foreign brands, most notably, Philips. Philips LED light are expensive even on Taobao, and i’d rather buy from the higher end Chinese brands. Nevertheless, i managed to also find Panasonic branded ones. These are manufactured for the Chinese market, but they are carry the genuine Panasonic brand. Well, although i chose cool white, the colour of these downlight tended more to the warm white side. They look much less attractive than the GELED downlight, but they still do work fine. And i get the feeling that they will be long lasting. I had them installed in the kitchen where there is very high usage, and they feel reassuring. Finally, as with how i normally pick items on Taobao, choose the seller with high sales volume coupled with generally good reviews. Here are the factors to consider when choosing the right LED light in accordance to the space it is meant to light up. Shopping malls have to create the right cozy ambiance to attract customers, and the lighting plays a huge factor in their success to do so. So you can take your cue from shopping malls – what is the colour temperature they generally employ? They mostly use cool white and warm white. Daylight looks outdated (your parents probably love it). Someone commented that if you used daylight in your home, it will look like a hospital. I kind of agree. To be precise, the colour temperature range, as measured in Kelvin (K), that will make your home look cool is 3000K to 4000K. 3000K is warm white while 4000K is cool white. On Taobao, warm white is 暖白 (sometimes also called 暖黄), while cool white is 中性光 or 自然光. Warm white actually stretches down to 2700K, but at 2700K, it is overly yellowish. Sellers don’t usually tell you the exact Kelvin figure, but if you bought from a reputable seller, it is usually fine. It is usually OK to mix warm white and cool white lighting within the same space, so that’s another advantage you get when you choose these. There are guidelines as to how many Watts per meter square you need to adequately light up a space, but i think most people will not bother to find out the size of rooms in their homes. Neither did i measure room sizes, but i have an idea (through prior experience) how much power is generally needed, and that knowledge was good enough. For my home, i used 24W for the kitchen, 32W for dining area, 32W for living room (plus another 60W of recessed strip light), 24W for bedrooms and 48W for the study area. The ceiling height has to be taken into consideration as well when choosing the power rating. Generally speaking, except for bedrooms, the higher the brightness, the better people will feel about the space, so you can’t go really wrong when you opt for higher power. The more lighting points you have, the more evenly distributed the light will be. For this reason, downlight is usually the best choice. Unfortunately, the cost of installing of downlight is very high due to the need for false partition ceiling, plus the installation labour cost which is charged per downlight. 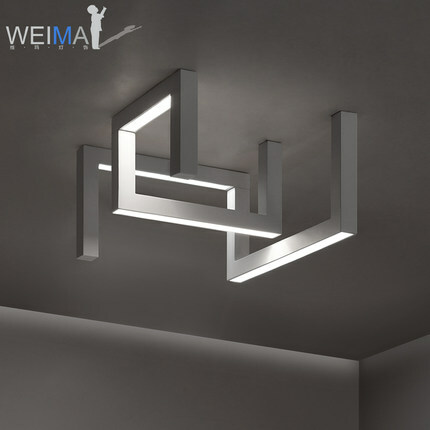 Other ways to increase the lighting points without installing a false ceiling include track lighting, or to use lighting that snakes around, including the use of hanging light. Beam angle is more relevant to downlight, where light is focused onto a smaller area. This means you get more light where you actually need it (nearer to the floor or table). This is especially helpful when you have a high ceiling. As a side effect, a narrow beam creates an artistic effect on the wall, or table, which enhances aesthetics. A narrow beam also helps when there is a ceiling fan nearby. You wouldn’t want the light to cast a shadow on a rotating fan. This is a matter of taste – many people opt to install a ceiling fan with an integrated light, but it just looks cheap to me. I prefer a fan to be just that. Sometimes you want light to flood an area as much as possible. Well, generally speaking, all lighting other than downlight cast light all around (they are expected to anyway). Again, a matter of taste, but I strongly recommend that you install lighting that has at least some beam angle (in contrast to casting all around which you could technically say is 180 degrees angle) in the living and dining area. It will look more classy, trust me. I’ve seen the effect of the 180 degrees lighting in the living and dining area, made worse by the choice of daylight colour temperature – it makes the space look like an outdated office. Anyway, I especially like the “Hamburger” lighting i got for my house entrance area, and it is the 180 degrees all around lighting, in warm white temperature. It creates a very cozy feel. By the way, i have two extra pieces of these (black colour) to let go for cheap, so drop me a message if you’re interested. I also got hold of a motion sensor (pictured above next to the light) to automatically turn on the light whenever someone is near the entrance. The motion sensor cost only 33.90 Yuan (S$7), and makes life so much easier! The colour rendering index is about how close objects appear, when lit by a particular light, compared to when they are lit by natural light. 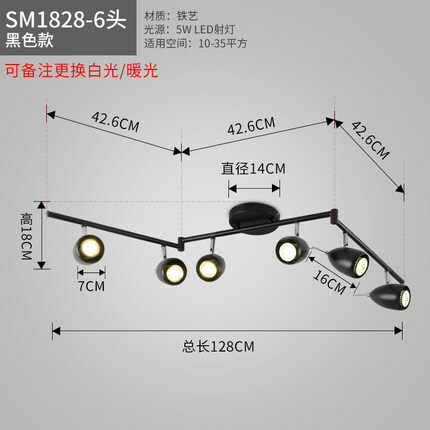 This measure is almost never mentioned for the LED light sold on Taobao, or for any light sold anywhere for that matter. I came across a seller on Taobao that trumpets the high colour rendering index measure (measured in Ra, and called 高显指) of its products. I was actually looking for a downlight with very narrow beam angle, and they had just what i was looking for. The beam angle goes down to 12 degrees! I was even more sold on their claims of the high colour rendering index. The light does look good, though it’s hard to say how much better they are. i suspect downlight by GELED has pretty high colour rendering index also. Overall, i was quite impressed by the quality of these BeiDuo branded light, and although they target commercial installations, they would work well for the home also. They allow you to customize the colour temperature too (5 different options! No other Taobao seller offer this). If you are installing new LED lighting, there is no longer any point in installing the PL (2G11) or G24 socket type of lighting, which were meant for compact fluorescent light (CFL). There may be a case for the T5 (the once ubiquitous long fluorescent tube), but one base type remains relevant – the E27. Besides the general usage LED E27 light bulb, other creative forms of E27 LED light are also available, such as bulbs that mimic incandescent light. E27 light socket are actually future proof, allowing to you to adopt new technology when they become available. Incandescent light mimicry. These 2W bulbs are quite bright. I tried the 4W ones and they were too bright. Also, warm white was too yellowish but cool white was just right. 1.2m long hanging light that can be joined together (24W cool white). 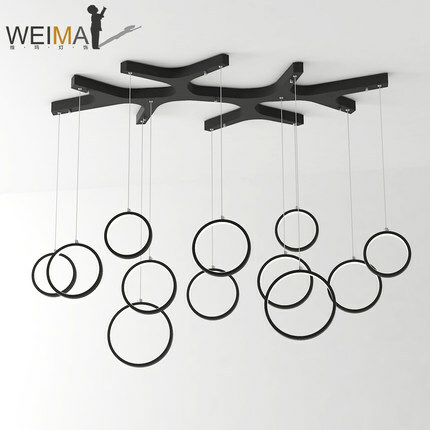 The hanging configuration offers the advantages of bringing higher brightness to the study tables below, and adding visual candy to the room. Indirect lighting always looks more interesting. These LED light strip connect to the mains directly (via a stabilizer) without the need of a transformer. Works wonderfully. Wanted to ask you about the motion sensor for light. Let’s say that you have set it so that it does not activate in the day, only activated by motion at night. If one day you would like to turn the light on in the day, are you able to override the sensor? Or is there no way to do so? Hi K, there is no simple always-on override, but you can adjust the setting to also turn on the light when it senses up to 2000 Lux brightness, which according to Google is the brightness of an overcast day (equivalent to bright noonday under shelter?). Thanks a lot 🙂 Didn’t realise u replied until now! I’ve looked thru the GELED website and it doesn’t seem to have any mention of the E27 base. How do I chk that? I’m looking to buy 10 x LED lights for my living room. Could you advise on the difference between 暗装筒灯and 暗装射灯? What LED lights are you using for your living room? Thanks much! Hi Kay, GELED makes the more premium kind of lighting and so, understandably, they don’t produce the E27 type of bulbs, which is considered more mass market. If you are installing new LED lighting, you normally don’t need to install the E27 base. E27 is more applicable in cases where you have purchased a lighting housing and it comes with the E27 base. 暗装 means recessed (conversely 明装 means exposed). 暗装筒灯 means recessed downlight (light shines directly downwards) whereas 暗装射灯 means recessed spotlight – the angle of the light is adjustable. I used this 8W GELED downlight for my living room, just 4 of them. For the GELED kinda premium downlights, can one change the light after end of pdt lifespan diy style or must engage electrician to do it? The E27 base types while mass market, provides easy maintenance by simply replacing the light bulbs diy basis. If can’t diy, the running cost of rather high in the long run don’t you think? Hi Wong, I always change the downlight myself, so not a concern for me. The thing is, I don’t think there are E27 recessed down light, so you don’t have a choice to begin with. Hi Yen Kai. First off.. Wanna say thank you for all your posts on Taobao and taking time to answer different questions in such detail! Really appreciate your heart to help! I also encountered the above message with some other items in my shopping cart. For these other items, I could only purchase them if i selected the “direct shipping from seller” option which means hefty shipping fees. May I know if you will be able to shed light on the above message, and advise me on what I should do? Thank you! Hi Charlene, I’ve seen a different message, which says the item is prohibited for international sale according to Chinese law. I suspect this could be the reason you couldn’t ship via Taobao forwarders. I shipped the GELED lighting through a 3rd party forwarder (86of). You might want to consider shipping via sea freight if you have other bulky stuff to ship also. May I know how long for the lights to reach sg? And if there is door step delivery from 86OF? According to 86of website it’s 9 to 12 days. If your parcel volume is 0.5 CBM or more, delivery is included, otherwise you pay a fee to get delivery.